No affiliation but looks stunning! 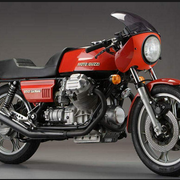 first guzzi I ever rode on a demo... Wish I bought it then.. Ive been looking for guzzis since! So can someone that's ridden one explain the riding experience vs other Guzzis? I think they look OK. A sportier Tonti bike. I'll admit that I don't "get it". I know a fellow that rides one. 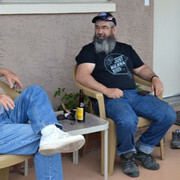 First time I saw him, I was on the EV and thought nothing more than it was stripped down California (which in my mind meaning Tonti frame bike). OK, I was ignorant and for $20k, still ignorant. This is all about aesthetics. I can ride my 07 Norge and my 1000S back to back through the same curves and the 1000S isn’t really much better in terms of handling. It might feel better, but when I look at the speedometer it isn’t much faster in those same curves as the Norge. 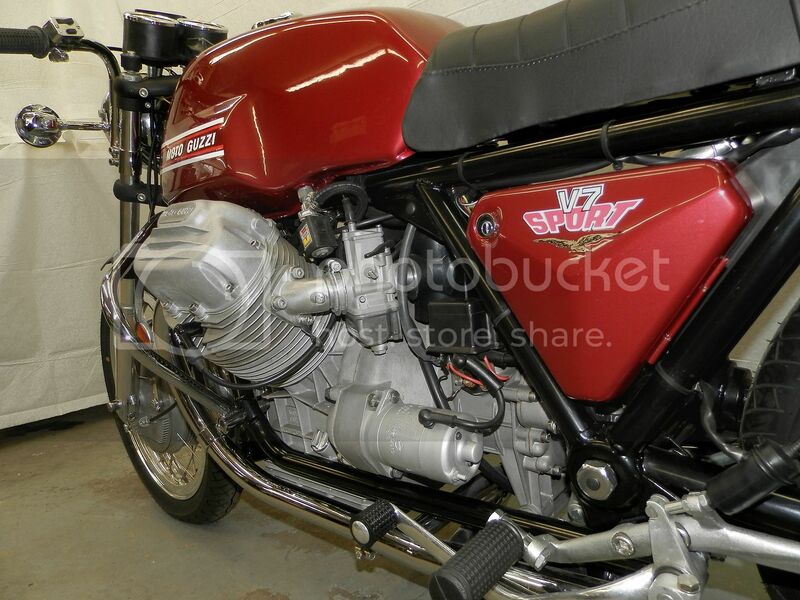 By comparison to collectible Ducati’s, this bike is dirt cheap. So this is my irrational dream bike. Being ignorant of market pricing, I was thinking these would be in the $8k - $12K range. Did not realize it would be impossible to find one below $18K. And other than them being a bit rare, I don't think they were all that special, right? I read some articles on them and it seems like they were a very slow seller when they came out new. 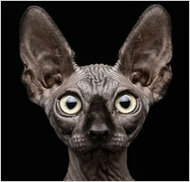 For me, it is just the look. Love the black/green combo. Love the pipes and chrome fenders. Really like the tank. The seat/tank junction looks a bit odd, but that is ok.
After looking at prices, I starting wondering .... "What about a Quota" those are usually priced pretty good. Looks indeed!! 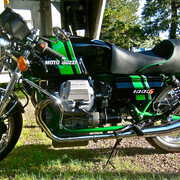 - - and here are two other earlier Guzzi models that are now going for $20,000 - $25,000!!! I read some articles on them and it seems like they were a very slow seller when they came out new. Supposedly, more of them were sold at Spare Parts in Philly than any other location in the states. They were also priced in the $10K range, so that was clearly a problem given the high suspenders MG crowd. Well the same day I rode one, I also rode the Melle GT . I tell you there was a WORLD of difference between the two.. Handling, power, everything... The 1000S was a amazing ride at least to me. I hear that some of them had the big valve LM motor.. Im guessing this one must have becouse she pulled hard! 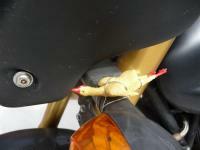 The only thing I didnt like, and this is coming from your normal UJM bikes, the throttle was a BEAR to work.. The LM1, V7 Sport or 1000S are not worth $20K+ YET. I’d say $18K tops for a pristine example. Anything more, and you’re over-paying. 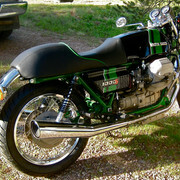 And I’m not your typical Guzzi cheapskate, I pay good money for a nice bike. My buddy Tom bought one new. It was running too lean, and the dealer him he would void the warranty if he fixed it. He tried to sell it to me for the new price: $6500 bucks. I rode it 20 miles, visually dazzled, but with a hurting back and sore wrists. Lovely bikes. 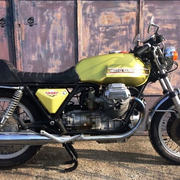 I believe I paid about $3800 out the door at the time....I was 23 years old...and it was my first Guzzi...In 1980, when I moved to NORCAL, I sold it for about $3500. Who knew?!? Next time you go riding with Michael D., ask him if you can ride his V7 Sport for a few miles. That will (sort of) let you know what a sporting Tonti is about. 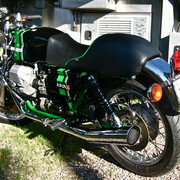 Or, catch a ride on a 1000 LeMans. 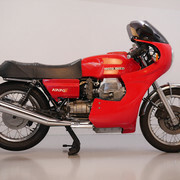 The 1000S is the same under the skin as a 1000 LeMans, but with the retro bodywork. The thing about the '91 and '93 1000-S is the rarity. 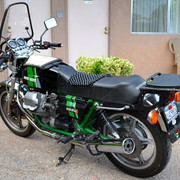 They were one of the first "retro" bikes brought to market and were brought to the USA in shockingly low numbers. That is why they sell for a premium. 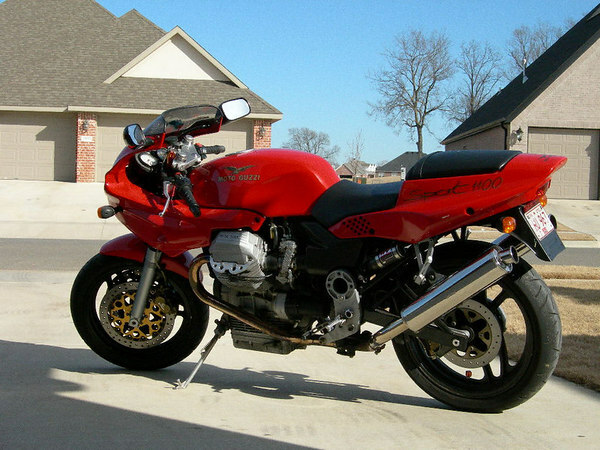 The 1991 LeMans 1000 I had ran strong. It was a great engine. Smooth and torquey. The 1000SE for sale in the UK, a bit cheaper and has less than 1000 miles. The green stripes sure add value. It's just a Tonti LeMans with retro bodywork.. not that there is anything at all wrong with a Tonti LeMans. 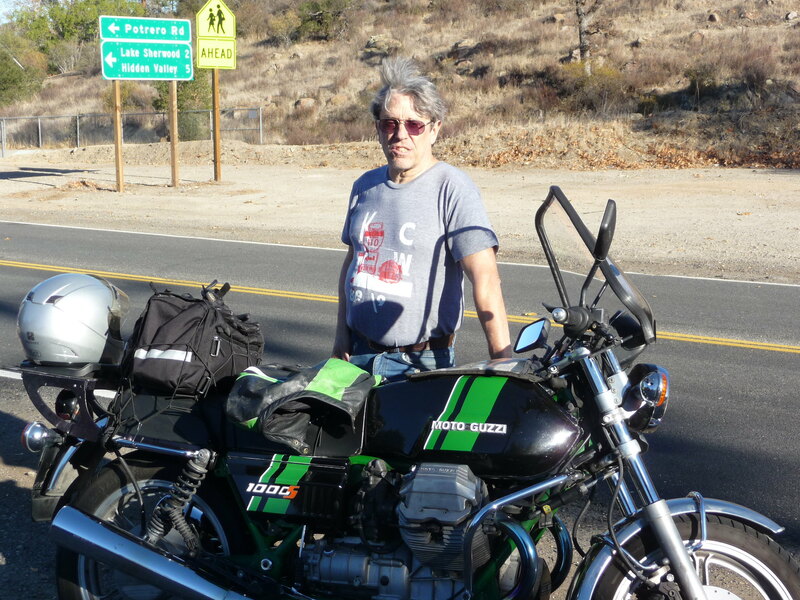 I rode a *lot* with Guzzi Bob (RIP). He had a 1000S, 07 Norge with the suspension upgraded, and medium valve T3. They were pretty much equal in the twistys. I was talking about this with Gordon at MG Cycle one day, and he said, "The 1000S didn't sell well. People took them out on a test ride and thought what will this high priced bike do that my T3 won't?" 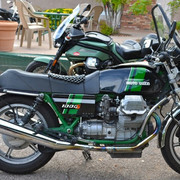 Here is Guzzi-Bob, R.I.P., (to the far right) and his lovely "Big Valve" 1000S at our Cottonwood Guzzi N.A.R. in May 2015. The LM4 needed a few issues resolved to be a fantastic bike, but till then it was difficult to see just how great it was. A lot of guys didn't like the 16" front wheel. The throttle springs were way too stiff, and worst of all, the jetting was atrocious. Well, probably one of the biggest strikes was the styling. But add that all up and they didn't sell all that well. I got the 87 LM a couple years ago with low miles and much work done over the years. But it still needed quite a bit of sorting out. 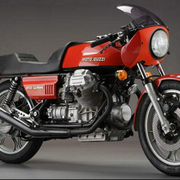 The 16 had been swapped for the 18" front, but the tires were still the 80 series which didn't suit the bike at all. It didn't want to lay over. The jetting had been converted to the European spec, but still ran awful, so a little fiddling with Ed's recommended jetting got it running much much better. The thing is a real hot rod now and really jerks my chain. But the looks really turn me off. I just haven't warmed up to them at all and have wondered what I could do to make it more appealing. So I'm converting an 85 LM to a 1000S. I love the LM4 enough to go through the trouble. And anyone who says the LM4 is comparable to the T3 is sorely mistaken. They're two entirely different beasts. Once you get the LM4 running properly there's no comparison! to the LM IV. Save the body plastic. 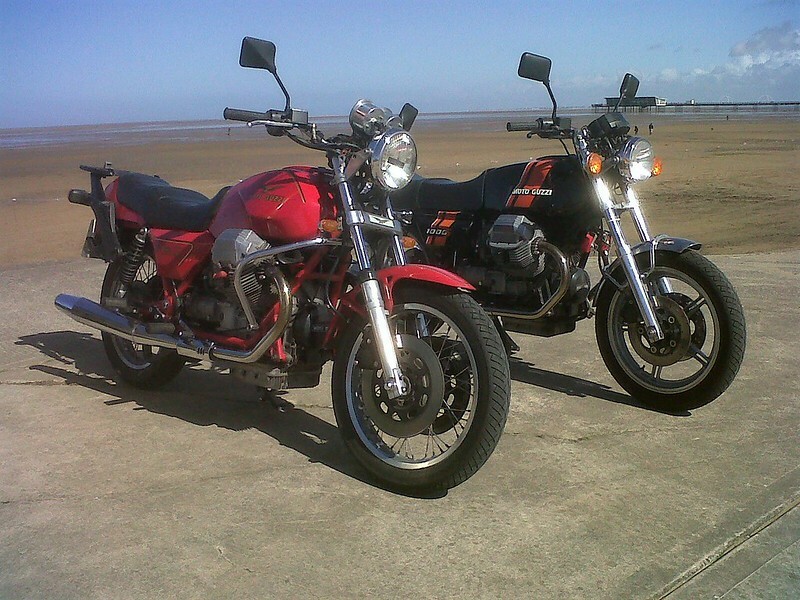 Both of my 1000S bikes "pull" better because of the torque compared to a mid-valve like my SP or Strada. On the mid-valves, it's keeping the rpm's up so that it doesn't take longer for the engine to "pull" the load. IIRC the shorter swingarm makes them a tad quicker in tight turns like Alpine hairpins. There are no stupid questions. There are however stupid people asking questions. That being said, if I had the money to just piss away and not even make a dent? I’d overpay for one in a heartbeat. It’s just a beautiful bike. Why do the carbs have flat tops instead of the bell crank type? Probably because they awful and make the throttle stupid heavy for no reason.